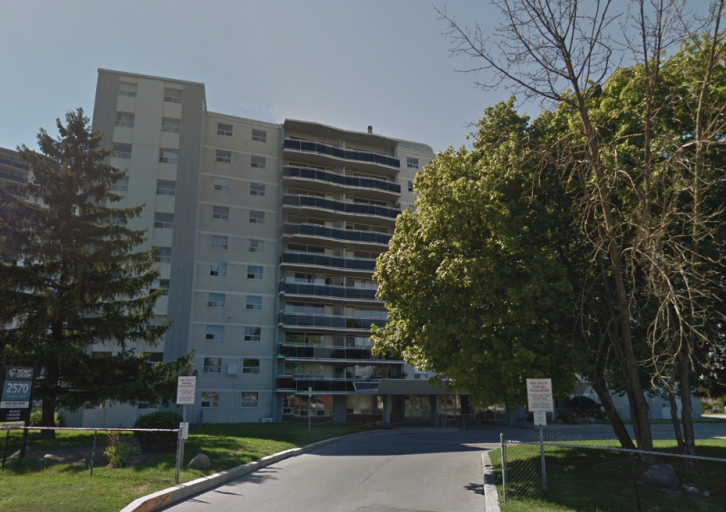 2570 Kingston Road is a beautiful, high-rise apartment building in the Cliffside neighbourhood near the shores of Lake Ontario. Located between Scarborough Junction and Kingston Road, our property is perfectly situated for commuters who require easy access to public transit or major roadways. Our building offers top-notch convenience with many dining, shopping and day-to-day amenities, such as Shoppers Drug Mart, Starbucks, No Frills and more, located within walking distance on Kingston Road or a short ride away on Eglinton Avenue East. For families with school-aged children, the area boasts multiple schools that are only a few minutes' walk away. Residents of 2570 Kingston Road love our proximity to the shores of Lake Ontario and the Scarborough Bluffs. Experience our local wonders of nature anytime you like, by walking 6 minutes to Scarborough Heights Park, Cathedral Bluffs Park, Bluffers Park, or Bluffer's Park Beach. If you'd rather watch the boats come and go, stop in at the Bluffer's Park Marina and grab a bite to eat on the water, at Bluffers Restaurant.